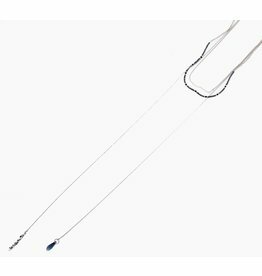 Adjustable double strand long lariate necklace with Czech glass beads on silver chain. Adjustable at neck with white moonstone and black onyx charm. 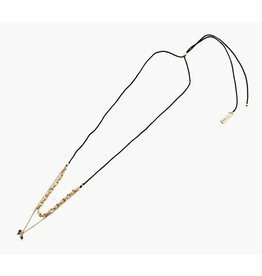 A carded jewelry collection with words represented in Morse code. Great as a reminder message to yourself or as a gift for someone else! 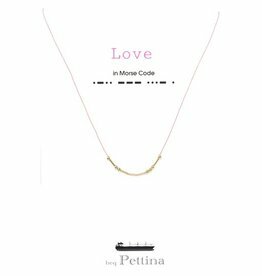 Silk pink thread and gold beads spell “LOVE” in Morse Code.